USING CANON 5D ON THE SET OF SEARCHING FOR SONNY. Digital wonders show no sign of ceasing or even slowing anytime soon. The trajectory of video over the last 10 or 15 years is a continuation of the 100-year quest that film cameras and emulsions have traveled to become smaller, sharper and more and more sensitive to light. But during its short life, the technology of film remained essentially the same. A Panaflex is really just a quieter, smaller Mitchell Camera and a Mitchell performs a similar function to that of a hand-cranked silent-movie camera, only automatically. What the Lumière brothers were unspooling at the turn of the last century is not so different from what Ethan and Joel load into their cameras today, except for color and the amount of light needed to get the shot. In this century, progress is still towards less light, higher definition, less weight and lower cost. The board game is the same, but the pieces keep changing. And they do so with greater and greater frequency and efficiency. Some resourceful and well-informed filmmakers among us are making full-length fiction and non-fiction movies using single-lens reflex digital cameras (DSLRs). We’re talking still cameras. As in Nikon. As in Canon. These are not avant-garde filmmakers experimenting with fuzzy pixilated images destined for exhibition in side street art galleries. Audiences will be viewing a 12 mega-pixel, 720p image with depth of field as shallow as anything shot by Roger Deakins or Bob Richardson. In plain English: high-definition video that looks like it was shot with film-camera lenses, but on a D90 Nikon you can hold in the palm of one hand while you write out a check for $1,300 with the other. And that same check will get you a zoom lens as well. It makes the $17,000 body-only Red Camera seem like a Hummer. And if Nikon doesn’t drive camera rental houses crazy or out of business, what about a 21 mega-pixel 1080p high-def image from Canon for $2,700? Even with the additional cost of a lens, this is still within the range of a graduation gift certificate to B&H or Samy’s Camera. And you can rent cameras and lenses at places like this for less than what it costs to gas up the Yugo you’ll be able to use as an equipment vehicle. In Allentown, Penn., for instance, a Nikon and zoom lens rents for $80 a week. Quinn adds the Nikon D90 was chosen for its unique look and because “it shoots in five-minute bursts and holds about 50 minutes per 8gb card. Used Nikon still lenses made it a very affordable way to get an HD camera with interchangeable lenses.” The production settled on a 28mm, a 50mm, and two zoom lenses. Nikon and Canon’s incredible image quality is the result of their large image sensors. Typical compact cameras might have an image sensor measuring about 5mm by 7mm. 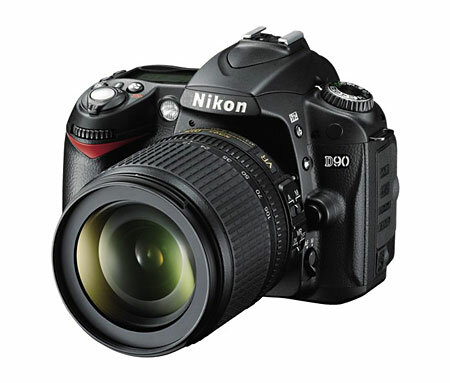 The sensor on the Nikon D90 uses a 16mm by 24mm sensor. That is 11 times the area of a compact camera’s imaging chip. 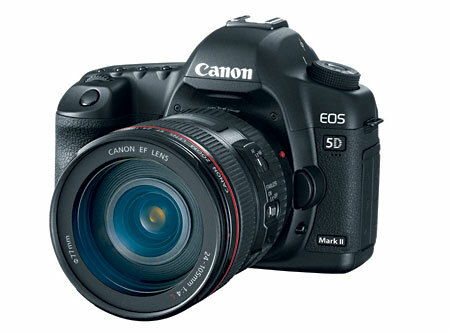 On the Canon EOS 5D Mark II the sensor is the same size as a standard film camera frame: 24mm by 36mm. That’s more than 24 times larger than a standard sensor. 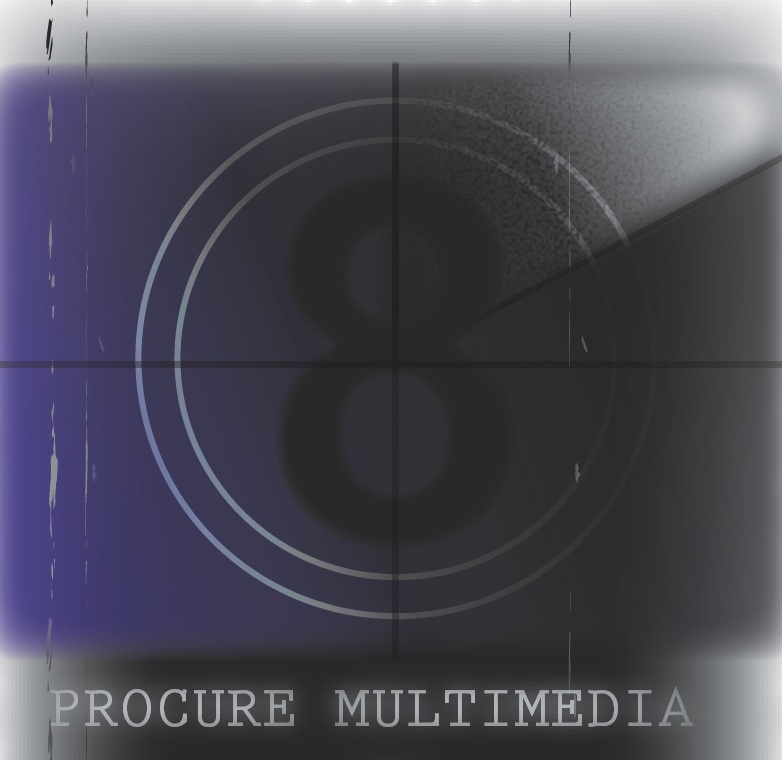 It is the size of the CMOS chip and use of primes that results in a very shallow depth of field creating for Radar a cinematic image despite the Web format. Quinn feels this was used to their advantage often resulting in “expressionistic, soft-focus compositions.” Standard compact video cameras have very short focal-length lenses to match their small sensors. The laws of optics dictate that the small sensors on regular video cameras and their lenses will have a very broad depth of field. And DSLR sensors permit each pixel to be larger, reducing the amount of noise in the image and increasing the amount of light each pixel is able to capture. The result: sharper images and the ability to shoot in lower light. Andrew Disney is shooting a feature called Searching for Sonny in Fort Worth, Tex. with a Canon 5D. Anyone who has shot far from the big established film centers has experienced some difficulty in obtaining big lights and a variety of grip equipment, not to mention crew. 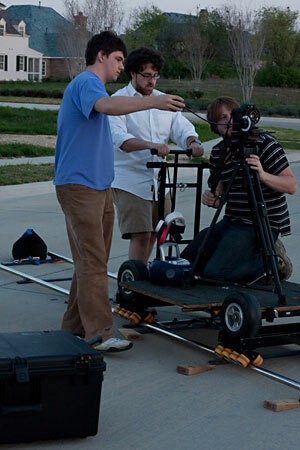 But Disney says that “the size of the camera made our crew smaller, and we had nothing too big to lug around. The camera’s battery pack lasted all day. It felt easier and we weren’t as tired. Moving the camera and using the dolly was just so easy. So what are the downsides to DSLR technology? For the D90, one is that the camera body will overheat after about 40 minutes of continuous shooting and then needs about 10 minutes to cool down. But the overriding thing that the filmmakers interviewed for this article all commented on was the lack of any image stabilization feature. Disney: “I was very afraid about the sensitivity of the camera to movement. I’d read a lot about how the rolling shutter in the Canon 5D can sometimes give a jelly effect. If you look at the focus push at the second mark, (26 seconds into the trailer at http://searchingforsonny.com) you’ll see what a lot of people are having problems with. We stayed away from handheld shots, more as a stylistic choice. We did a test before the shoot with handheld, some parts were a little too shaky. I think it’ll be a new camera technique to master. But Zak Forsman, producer and director of the D90 feature Eloquent Graffiti and its prelude Model/Photographer(which won Third Place at DVX Fest this year), thinks it is possible to get around this problem. “The D90 is very comfortable for handheld shooting given its DSLR form factor,” he says. “I hold it securely with my right hand while cradling it and pulling focus with my left. The camera’s sensor does have a slow read/reset, which results in skewing of the image when panning left and right. But this effect is minimized in much the same way you soften handheld camerawork — with wide lenses and stabilization. I won’t shoot with anything longer than my 28mm without a tripod. Even so, it takes a good amount of familiarity with the D90 to work within its technical limitations.” I have seen Forsman’s work at sabipictures.com and it is very accomplished. The look is amazing, as is his production value in general. Wow. Just like the good old days. 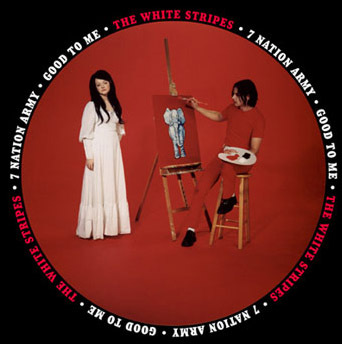 “Seven Nation Army” is the first track on the album Elephant by American alternative rock band The White Stripes. It was released as a single in 2003. Seven Nation Army reached #1 on the Modern Rock Tracks for three weeks and won 2004’s Grammy Award for Best Rock Song. The song is known for its underlying riff, which plays throughout most of the song. Although it sounds like a bass guitar (an instrument the group had famously never previously used), the sound is actually created by running Jack White‘s semi-acoustic guitar (a 1950s style Kay Hollowbody) through a Digitech Whammy pedal set down an octave. The riff was composed at a sound check before a show at the Corner Hotel in Melbourne, Australia, according to the set notes in the booklet which accompanied the Under Blackpool Lights DVD. This riff was inspired by the main theme of Anton Bruckner‘s Fifth symphony. According to White, “Seven Nation Army” is what he used to call the Salvation Army as a child. In March 2005, Q magazine placed “Seven Nation Army” at number 8 in its list of the 100 Greatest Guitar Tracks. In September 2005, NME placed “Seven Nation Army” at number 5 in its list of the 50 Greatest Tracks Of The Decade. It was also called the 75th greatest hard rock song by VH1. In May 2008,Rolling Stone placed this song at number 21 in its list of the 100 Greatest Guitar Songs of All Time. The song was named the 75th best hard rock song of all time by VH1. “Seven Nation Army” also earned 20th place in Triple J‘s Hottest 100 of All Time in 2009. The song was also listed at #30 on Pitchfork Media‘s top 500 songs of the 2000s, and at number 2 in Observer Music Monthly‘s top 75 songs of the decade, behind Beyoncé‘s “Crazy in Love“. It also came in second on Channel V Australia’s top 1000 songs of the 00s. In 2009, US website Consequence of Sound named this as their top rock track of the 2000s, as did Boston’sWFNX Radio. On Rolling Stone’s updated version of their The 500 Greatest Songs of All Time, “Seven Nation Army” was listed at number 286. It was also ranked #1 onRhapsody‘s list of the Top 100 Tracks of the Decade.